The workplace environment is constantly evolving. Not only has the type of work rapidly changed, but dress codes, working styles, and other factors that make up a workplace environment are not what they used to be a decade ago. With all these changes in the workplace, there is one concept that many companies and offices are still putting into use today, even though the idea has been around for quite some time: war rooms. The walls of a war room can help expand a team’s or individual’s memory, provide a canvas for jotting notes down, and act as a long-term storage solution for work and projects that are in progress. In this blog, we are going to talk about the benefits of war rooms, as well as offer some tips for setting up your own. What Exactly Is A War Room? If you are not exactly sure what a war room is, think of your stereotypical action movie — aliens invade Earth and the leaders of the country gather in a chaotic room, full of blinking lights, screens, controllers, and people rushing around everywhere. Yes — that is technically a war room! While war rooms are not as dramatic in the workplace as Hollywood makes them out to be, the atmosphere inside can be just as tense as during an alien invasion! The purpose of war rooms is to gather all the essential information in one confined space while brainstorming with other team members or co-workers who are working on a particular project. Basically, a war room is a miniature office space, whether it is set up within an office building or in another location. War rooms create a lot of benefits for team members and the business, which is why most companies either have a war room or rent one whenever the need for it appears. One of the benefits of working in the close proximity of a war room with a team is that each individual is able to react to any problems in real time. Open communication is much more efficient than phone calls or emails and will help ensure that all project contributors are on the same page. It’s almost always easier to reorder a prioritized list of notes or re-create a diagram than to make the exact same decisions verbally, without any visualization of the idea. War rooms are often filled with whiteboards, sticky notes, and more to make data, insights, and ideas associated with the project physically available to see, touch, organize and start synthesizing ideas. Because war rooms include a high level of data analysis and visualization, they make it much easier for team members to be aware of project performance and other project metrics. This allows groups to better track their progress of reaching the goal they are aiming for. Because war rooms are closed off by walls, there is a reduced risk of distractions delaying productivity. When working in a war room, one of the first things you will likely notice is a sense of focus. This will help create momentum in productivity, as there are next to zero distractions when everyone working on a project is trying to achieve the same goal. It’s no secret, war rooms help teams work better together. When every decision, idea, and thought is discussed and put on the wall somewhere, everyone is more likely to be on the same page. The more that is discussed and written on the walls or sticky notes, the more shared understanding a team will build. Plus, war rooms eliminate the need for re-visiting issues that were already discussed. Keeping information accessible to project members leads to greater team transparency. This is one of the vital steps of mitigating project risks. Tracking identified risks, discovering new risks, and evaluating the effectiveness of your risk process is simplified when you are working in a confined area with your team. If you do not have a war room available, you can easily transform just about any room into one. In order to set up an effective war room, you need the proper space, materials, and equipment. If you are wanting to create a space for your team to work within, check out these tips. Create a lot of surface area. War rooms are going to have a lot of items, such as tables, chairs, equipment, and more. The room will become more full as a project progresses, so you will want to ensure that you select a room that has lots of surface area, windows, walls, and empty spaces where you can stick or place items. Bring in the whiteboards. Whiteboards are the holy grail for creative thinking, so be sure to fill your room with as many whiteboards as possible. There are a variety of types of whiteboards that you can jot information on, such as floor-to-ceiling whiteboards or a mounted or free-standing whiteboard. Make it comfortable. This is a space where a team will be spending a lot of time, so it is important to not forget to make it a comfortable environment. Consider adding plants, snacks, music and other items to contribute to a comfortable workspace. Add flexible furniture. In war rooms, teams often go through various work modes. Sometimes, there is a need for chairs and open space, while other times, there may be a need for tables and desks. The ideal war room will have furniture that is lightweight and easy to move. Get the right business equipment. You’ll want to ensure that you have all the office equipment that is needed inside a war room to ensure you don’t lose out on productivity. 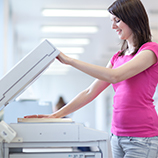 Having printers, copiers, faxes, laptops, and paper shredders on hand will help a group be more organized and prepared. Instead of moving existing equipment, it may be easier to just rent office equipment for a war room. Since the rooms are only used for a duration of a project, renting may be a better solution than buying new or moving existing office equipment. War rooms can create a lot of potential for teams or groups that are working on a project together. If you don’t have a war room, setting one up is easy! All you need is an efficient space or room, the right supplies, and the right business equipment. If you are setting a war room up and are looking to stock it with rental office equipment in New York City, contact Business Equipment Rentals! 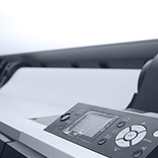 You can rent printers, copiers, fax machines, laptops, and shredders for your war room. 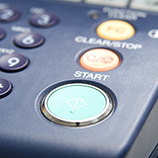 We only carry top-of-the-line brands of office equipment and offer 24/7 support on the machines that are rented from us. To learn about what equipment can help make your war room successful, contact Business Equipment Rentals!